Following the launch of the Sphere Handbook in November, Sphere’s partners are already at work translating the Handbook into their own languages. These efforts will bring the Handbook to more humanitarian professionals and communities around the globe to support preparedness, response, and training initiatives. Translation projects have started for Chinese, Japanese, and Urdu. With the English, Arabic, French, and Spanish editions already available online, the ongoing translations will make the Handbook available to millions of practitioners, community members, government officials, and other aid actors in an accessible language. As Stephen Fisher, Director General of Oxfam Hong Kong noted, “We see that more and more local NGOs being aware of the importance of quality and accountability in humanitarian responses. That’s why Oxfam is taking up the Chinese translation of the 2018 edition.” The translation is being carried out with the contributions and engagement of humanitarian actors working in China, including Sphere Focal Points. Accessible language and translations are a key strategy to disseminate the Sphere standards broadly and support humanitarian action at community, local, regional, and international levels. The 2011 edition of the Sphere Handbook was translated into 39 languages – including Dari, Haitian Creole, Khmer, Mongolian, and Sinhala. 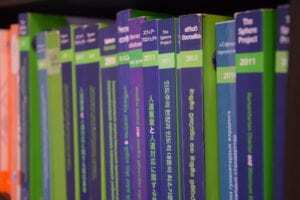 The 2018 Handbook was written in plain English, making it easier to understand for people who speak English as a second or third language and to ease translation to other languages. To expand the range of languages currently available, Sphere welcomes proposals from partners willing to work on additional translations. If your organisation is interested, please contact Sphere at info@spherestandards.org. Sphere provides translation guidelines and advice on how to take up this contribution to the Sphere community.